New series of large-scale panoramic images by photographer Nick Brandt that addresses the intersection of Africa’s environment with the continent’s increasing industrial development. Brandt printed and enlarged his portraits of animals then placed the panels in urban areas throughout Kenya which he shot with a cinematic flair. 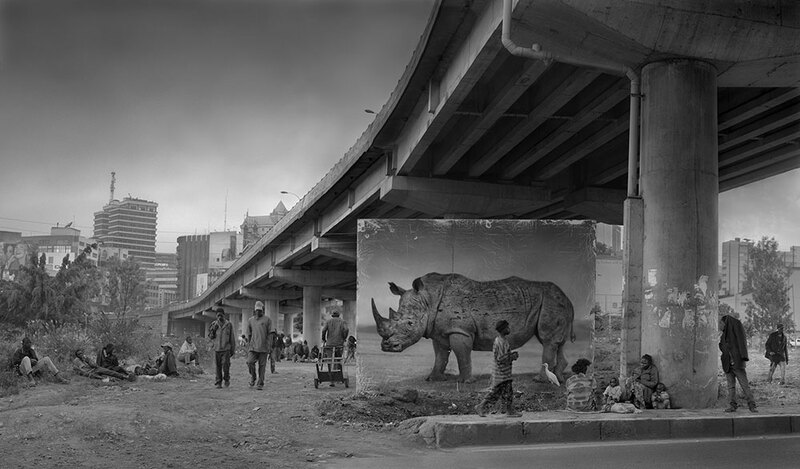 The images depict the majestic creatures wandering through a garbage wasteland, huddling beside a commercial factory, or standing underneath an underpass. 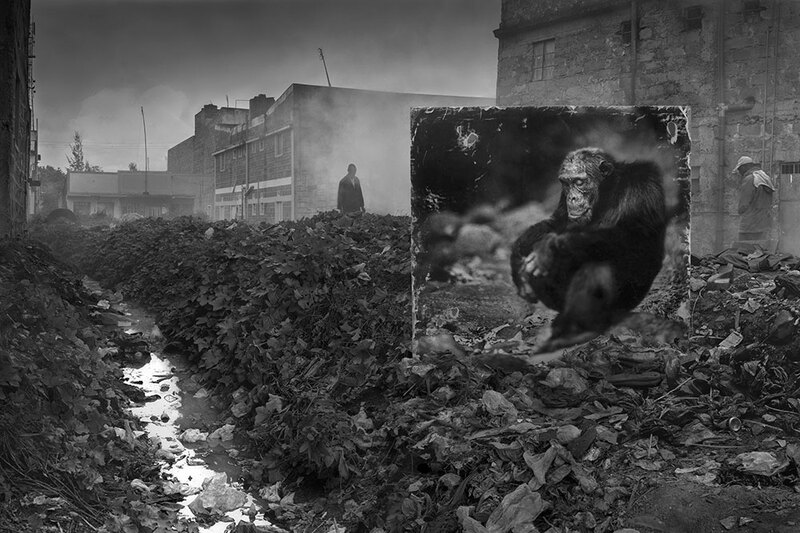 The dramatic juxtaposition illustrates a poignant view of Africa’s current state of growth that has affected its human and animal populations alike. With each arresting and carefully framed photograph, Brandt calls attention to ecological and social dilemmas that ultimately extend beyond the people and wildlife of East Africa, a subject that encompasses global environmental concerns. On view at Edwynn Houk Gallery through May 7. 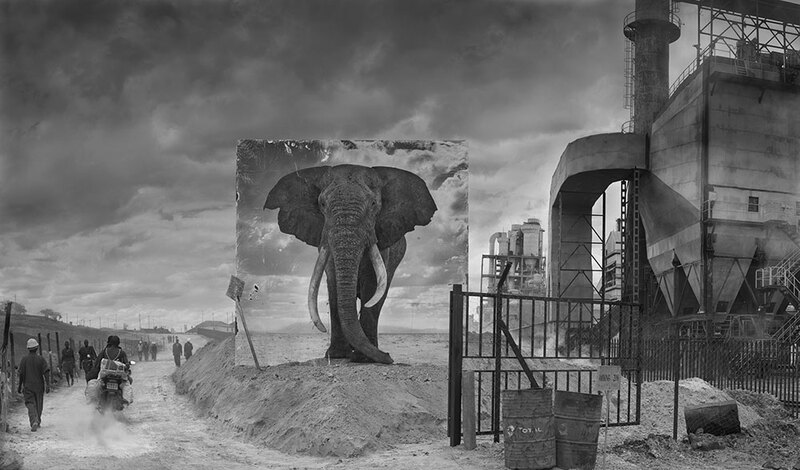 New series of large-scale panoramic images by photographer Nick Brandt that addresses the intersection of Africa’s environment with the continent’s increasing industrial development.